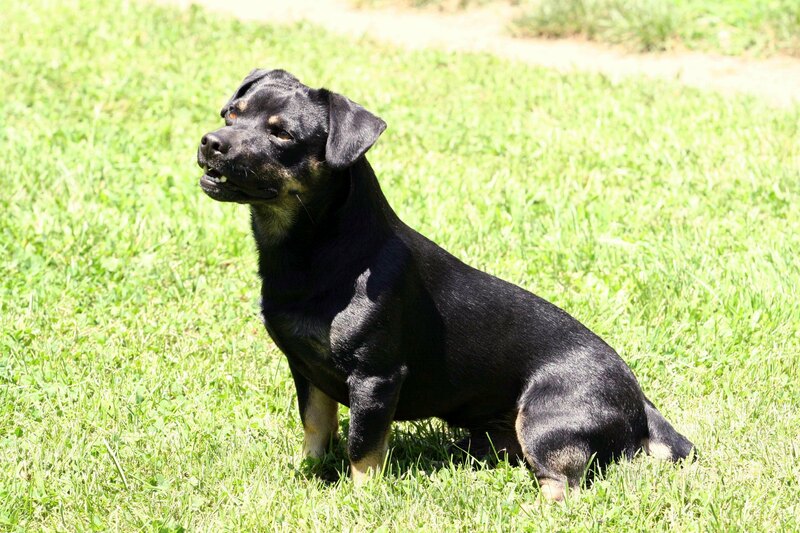 We are very excited to announce the addition of our Irish Black and Tan Jack Russells to Imported Jacks. After much research we decided to import our first Black and Tan, Daegan, from Country Crest Farm in Costelloe, Ireland. With color being the only difference between the Irish Black and Tans (or Hunt Terriers, as they are called in the US) and the Irish Jack Russell Terriers, we decided to add some to our lines. Although they are very rare here in the states, they can be seen throughout Europe and are the perfect farm and family companions just like the typical, predominately-white Jacks we see more frequently. Back when the original Jacks were bred, their coloring was black and tan and solid brown. The piebald (white-spotted) dogs that came out were an accident but the hunters using them liked them better because they could see the little white dogs easier out in the fields from miles away than the black or brown dogs. They then started to breed specifically for the little white ones. It took the Jack breeders years to get those solid genes bred out so only piebald (mostly white with spots) puppies would result. Since we are not breeding here for hunting purposes, we decided to add some black and tans back into our line. Our first Irish Black & Tan! Daegan was imported from Ireland as a puppy and has far exceeded our expectations. His good looks and charm make Daegan a favorite of everyone that meets him. He is a big puppy dog with a happy-go-lucky personality. He loves to come to all the horse shows with our riding students and is their biggest cheerleader! He has sired several litters for us and always throws strong healthy pups with wonderful and sound temperaments.